Cohen asked his attorney at the time, Stephen Ryan, to meet with Rudy Giuliani. 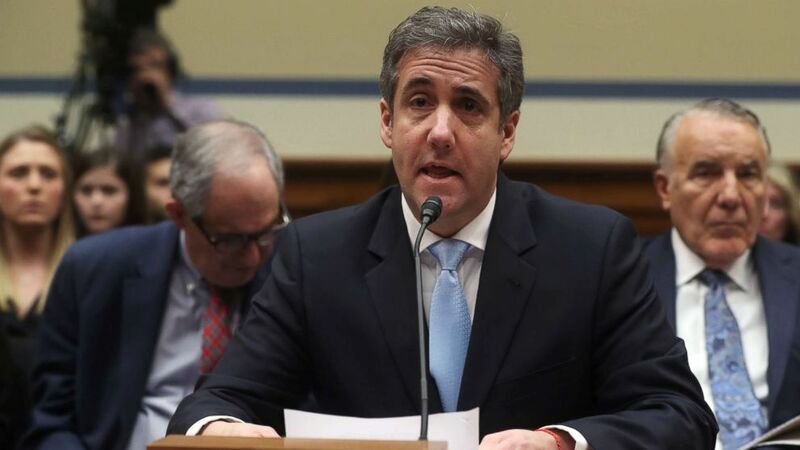 Michael Cohen, the former personal attorney and fixer for President Donald Trump, asked one of his attorneys last summer to inquire with an attorney representing the president about receiving a pardon, Cohen's spokesman Lanny Davis told ABC News Thursday. Davis added that Cohen also stands by his testimony, citing the time frame. Cohen, at the time, was part of a joint defense agreement with the president and many of his advisers. "Prior to Michael Cohen's decision to leave the 'Joint Defense Group' and tell the truth on July 2, 2018, Michael was open to the ongoing 'dangling' of a possible pardon by Trump representatives privately and in the media," Davis said. "During that time period, he directed his attorney to explore possibilities of a pardon at one point with Trump lawyer Rudy Giuliani as well as other lawyers advising President Trump." He later left the JDA when he decided to "change his life and tell the truth" about the president, when he decided to "put family and country first," as Cohen told ABC News' George Stephanopoulos at the time. 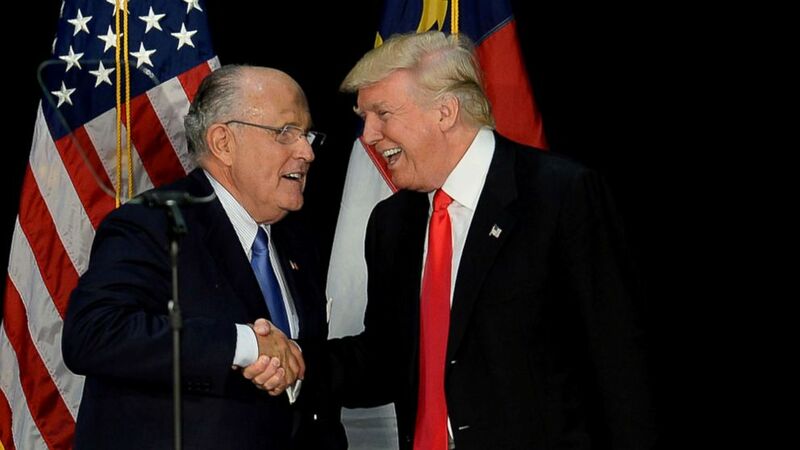 (Jeff Siner/Charlotte Observer/TNS/Newscom, FILE) In this file photo, former New York City mayor Rudy Giuliani welcomes Republican presidential candidate Donald Trump on stage during a campaign rally, Aug. 18, 2016, at the Charlotte Convention Center in Charlotte, N.C.
"But after July 2, 2018, Mr. Cohen authorized me as a new lawyer to say publicly Mr. Cohen would never accept a pardon from President Trump even if offered," Davis said, adding, "That continues to be the case." Davis' revelation appears to contradict testimony Cohen provided to the House Oversight Committee last week. "I have never asked for it, nor would I accept a pardon from President Trump," Cohen told the panel in his opening statement. (Jonathan Ernst/Reuters, FILE) Michael Cohen, the former personal attorney of President Donald Trump, testifies at a House Committee on Oversight and Reform hearing on Capitol Hill in Washington, D.C., Feb. 27, 2019. Davis pointed to nuances in Cohen's testimony last week, including the language used in asking the question. "But the sentence was also literally true," Davis argued. "[Cohen] never asked President Trump for a pardon. His lawyer explored the disingenuous 'dangle' repeatedly floated by Rudy and Trump in one meeting and never followed up." The revelation that Cohen's camp inquired about a pardon comes as sources told ABC News that attorneys claiming ties to Giuliani were also reaching out to Cohen, urging him to remain in the joint defense agreement with the president. Investigators have been looking into nature of those contacts, according to the sources. The Wall Street Journal and Washington Post earlier reported Davis' statement. Cohen pleaded guilty late last year to charges including campaign finance violations, tax fraud and lying to Congress. He was sentenced in December to three years in prison, and his term is expected to begin May 6.